When Did Jenny Craig Begin? 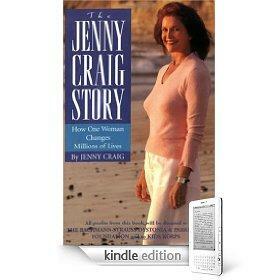 The Jenny Craig Story: How One Woman Changes Millions of Lives. When did Jenny Craig begin? The company was established in 1983, but there is much more to the story than the date the program started. The Jenny Craig story involves more than weight loss. Jenny Craig is a real person who was born in 1932 in the midst of the Great Depression. Genevieve Marie Guidroz was the youngest of six children living in Louisiana. Her passion for work began as a child whose work ethic surpassed material gain. In her autobiography, she writes, "I grew up believing that if you didn't work hard, you would die young." Jenny's passion for weight loss may have stemmed from a number of factors. Her work ethic drew her to the fitness industry where she met her husband, Sid Craig. They worked together with the Body Contour fitness company before selling their share of the company. She started in the fitness industry in 1959, many years before meeting her husband. Weight management was a motivating factor for Jenny because of her experiences with obesity. Her mother died of a stroke that was believed to be attributed to obesity. Her premature death at age 49 is a significant factor in Genevieve's motivation to help people to develop healthy lifestyles. In addition, Genevieve's mother had nine brothers and sisters. Eight of them died before the age of 50, and each had a weight problem. Genevieve also had issues with weight after gaining nearly 50 pounds while she was pregnant. The desire to help others reach their goals for healthy weight may stem from a combination of her personal struggles with weight as well as the health problems her mother experienced. Many assumed that Genevieve was born in Australia. However, she lived there for two years after the development of the Jenny Craig Company. When did Jenny Craig begin as a company? The company began in Australia because the couple were committed to a non-compete clause as part of selling their portion of the Body Contour fitness company. When the Jenny Craig company started, there were no clients and no success stories to sell the program. Genevieve took the reins on the task of promoting the weight loss program. For many years, Genevieve continued to be the spokesperson for the weight loss company. Gradually, one success story after another filled the history of Jenny Craig offering many opportunities for successful advertising. Genevieve suffered a form of dystonia in her jaw that prevented her from articulating well. Her daughter along with many successful clients took over the advertising portion of the endeavor. A cornerstone of the philosophy of the Jenny Craig diet is lifestyle changes the require counseling and support. In order to ensure that clients received the right guidance, Genevieve personally trained her staff when the company first began. She wrote the lesson plans for her staff training classes, as well as manuals for the staff and clients to use as a guide for the program. A major focus of the Jenny Craig Diet is behavioral changes that are intended to last a lifetime. This appears to be a major factor in an individual's success on the program. The approach relies more on behavioral changes, including making healthy eating choices, exercising and practicing portion control. Jenny Craig's beginning is important to consider if you plan to try this approach to weight loss. Success depends upon the realization that the program is not a diet that a person starts and stops. It is a change in lifestyle that begins with a difficult change in behaviors that should last a lifetime. Knowing about the motivation behind the company is an important part of having a bright future in your endeavor.